Try our new match 3 game Frozen Crystal Crush. 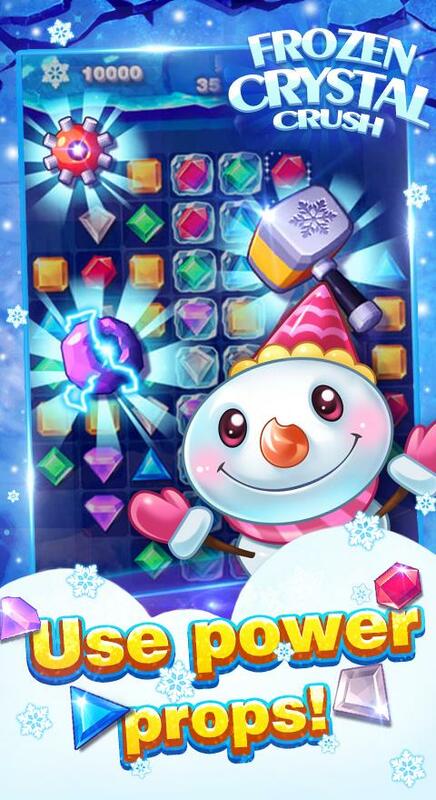 Frozen Crystal Crush is gonna rock all the match 3 game lovers’ world through the frozen crystal story. It’s a magical adventure full of battles. You need to overcome all the challenges to complete the missions. 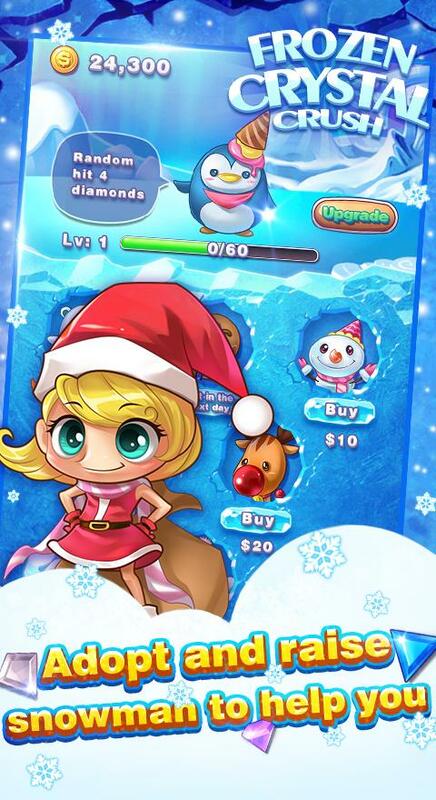 Adopt and raise the snowmen to help you. Defeat the enemies, the snow monsters and elves. 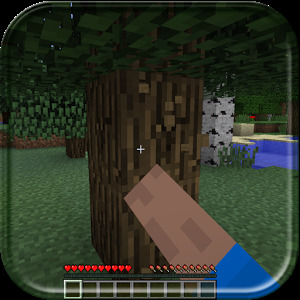 Try your best to save your friends bunnies and bears. 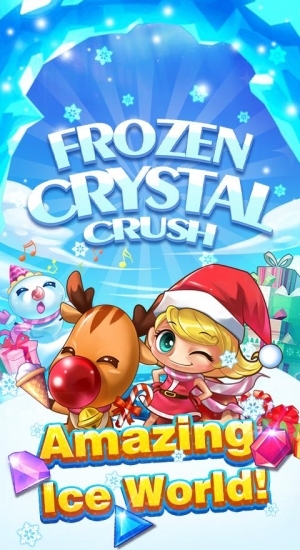 ★Frozen Crystal Crush is easy and fun to play but hard to be master. 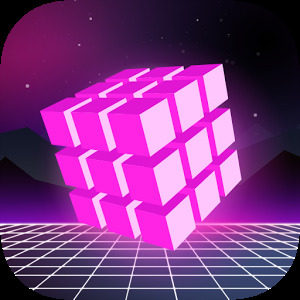 ★With hundreds of well-designed interesting levels, and each one is unique. Frozen Crystal Crush is free to play and we will update new levels once a month. 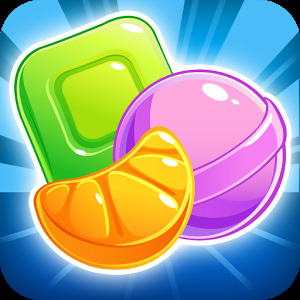 ★Magical power ups to help with tough levels. 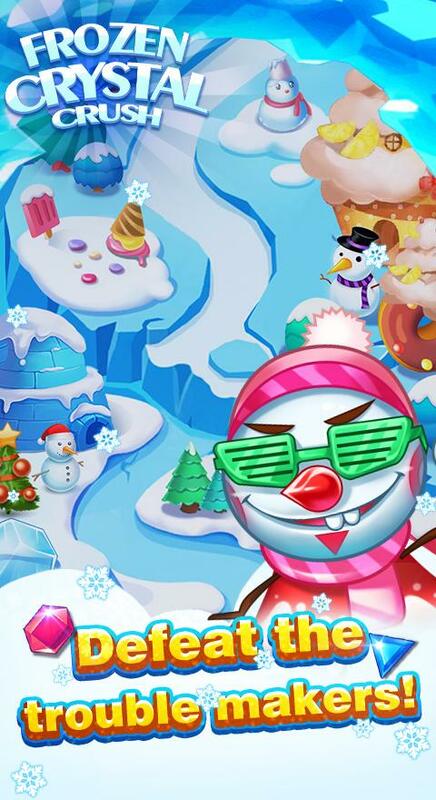 And do not forget your best partner, snowman, it will help you a lot more than you can think. 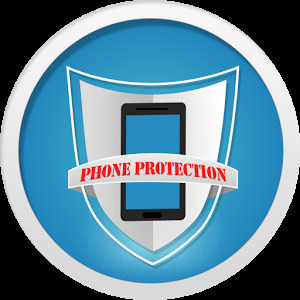 ★Thousands of award and bonus are ready for you. Do not forget the daily sign or you will miss them. 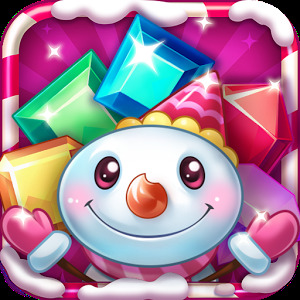 ★The more crystals crush in one time the higher score you can get. The higher level you pass, the more gift you will get. Ice & Frozen Candy Blast!